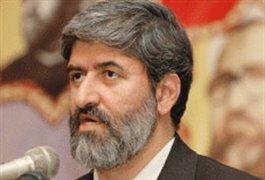 August 31, 2010 – While several senior Islamic Republic officials have emphasized the “necessity of unity in recent days, one of Ahmadinejad’s aides yesterday announced that the chief executive did not wish to participate in the Expediency Council sessions, despite ayatollah Khamenei’s request for Ahmadinejad do to so. 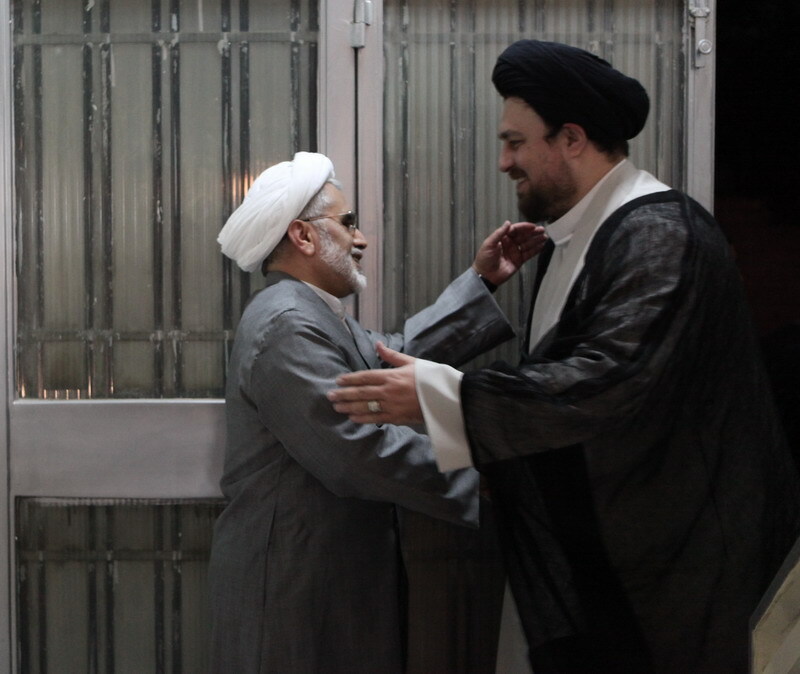 Meanwhile, seyed Hassan Khomeini, who was recently widely criticized by green movement supporters for speaking to Ahmadinejad at a state function, refused to attend a gathering yesterday at the revolutionary founder ayatollah Khomeini’s shrine and did not welcome Ahmadinejad. Since coming to power, Mahmoud Ahmadinejad has not attended any of the Expediency Councils sessions. Recently, he went as far as labeling the Council’s decision to allocate two billion dollars to the Tehran subway project “illegal,” an unprecedented move viewed by experts as a show of opposition to the Council’s chairman, Hashemi Rafsanjani. Ahmadinejad’s refusal to abide by the “supreme leader’s demand” as expressed by Morteza Nabavi captured the headlines yesterday while seyed Hassan Khomeini, ayatollah Khomeini’s grandson, also refused to attend a gathering at ayatollah Khomeini’s shrine attended by Ahmadinejad. Domestic news outlets, including ISNA student news agency, briefly reported the cabinet’s attendance at ayatollah Khomeini’s shrine and said that Ahmadinejad was welcomed by seyed Hassan Khomeini’s secretary, Hamid Ansari. The atmosphere present among the Islamic Republic’s senior leaders and figures, including seyed Hassan Khomeini’s treatment of Ahmadinejad, and his refusal to abide by ayatollah Khamenei’s demand point to the leader’s failure in mending the rifts among the regime’s senior leadership, even on the surface; a failure that renders repeated calls to unity ineffective. 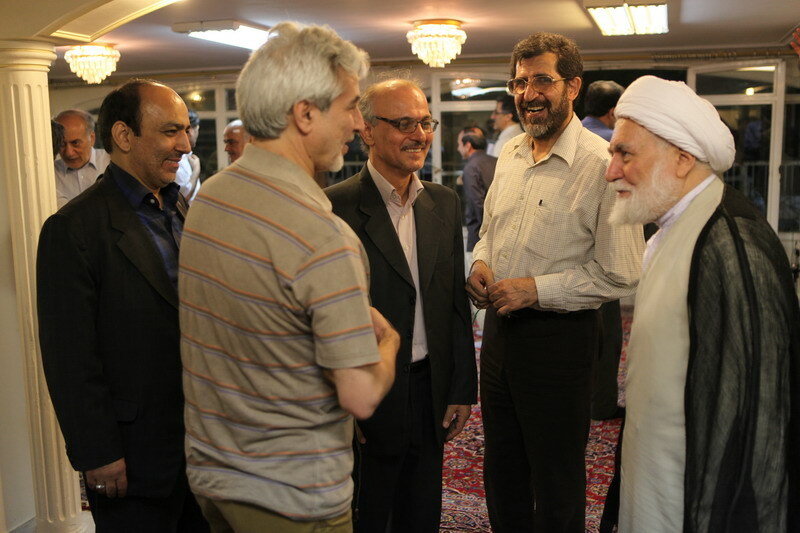 August 22, 2010 – Abdollah Nouri, the former interior minister during Mohammad Khatami’s administration, in an Iftar ceremony (the meal at sunset when Muslims break their fast during the holy month of Ramadan) hosted a great number of Green leaders, activists and reformists, as well as senior and well-known political activists and intellectuals. This was a ceremony without any speeches, and given that many reformist figures from variety of groups and parties were among the attendees, was a sign of “unity and solidarity” among the reformist figures; a kind of strong unity that did not go well with the pro-government propaganda and made them come up with all sorts of rumors and speculations in order to diminish this unity. 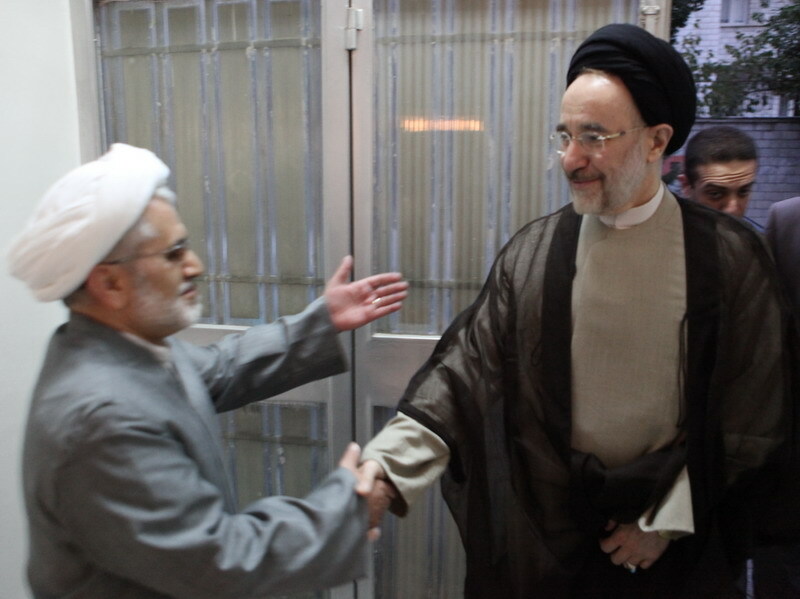 In this ceremony, Abdollah Nouri hosted many reformist figures including Seyyed Mohammad Khatami (former president), Mehdi Karroubi (former speaker of the parliament and one of the Green leaders), the grandsons of Ayatollah Khomeini, son of the late Grand Ayatollah Montazeri (who was the spiritual leader of the Green Movement) as well as many senior members of the main reformist parties and groups including The Unity Consolidation Bureau (main student and alumni organization), The Assembly of Combatant Clergymen, The Participation Front, The Administrators of Construction, The National Trust Party, The Freedom Movement of Iran, The Mojahedin of Islamic Revolution Organization, The Assembly of Researchers and Instructors of Qom Seminray, The National-Religious Activists, as well as some of the religious scholars, journalists and student activists. Refusing to issue permit for rally on Khordad 22nd (June 12th) more than anything showed the fear of the government from the repeat of the epic of Khordad 25, 1388 (June 14, 2009). The unprecedented array of security and armed forces in Tehran showed that even after a year of suppression, imprisonment, partisan use of the IRIB (the state-run televisions and radios), government’s media and spending billions, the totalitarians could not convince people that they have sincerity and truth in their actions. As if they could, why would they have need for all these expenses, bringing forces, and spreading lies? Khordaad 22nd showed the maturity of the great Green movement and showed that every Green citizen wherever he or she is, at home, office, workplace, factory, school or on streets, with innovation and originality, is a movement on his or her own. The Green movement has the wisdom to not act in a way that the totalitarians can hide the outcomes of their wrong policies in economy, culture, politics and foreign affairs. Today, the ruling powers need more than ever to create distractions to hide the consequences of the disasters that they have brought on the country from the people’s eyes. 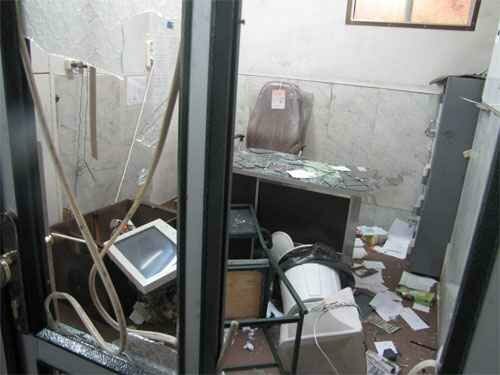 Attacks on the office of a respected Marja and one of the beloved students of Imam [Khomeini] is a new stage of these kinds of tension creations. But those who ordered and those who executed such a dangerous act must know that attack on Marjas and insulting and putting pressure on them only destroy the legitimacy of the establishment. 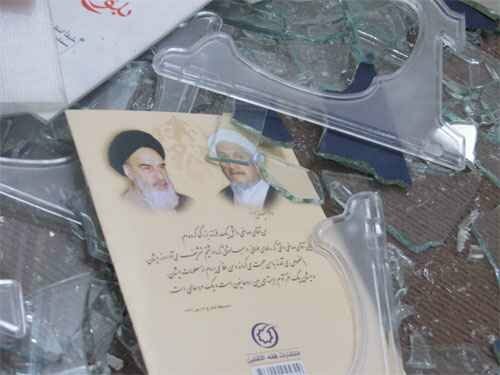 Have they forgotten that it was the attack on Imam [Khomeini’s] house [by Shah’s forces] that laid the foundations to eliminate the bases of despotism on 15 June 1963 and then later on February 1979, and they still do not take lessens from these?! Is it based on these historical experiences that you still sit on the branches and cut the roots?! *When the government supporters insulted the grandson of Imam Khomeini and didn’t let him speak in the anniversary of his grandfather passing because of his supports for the people. 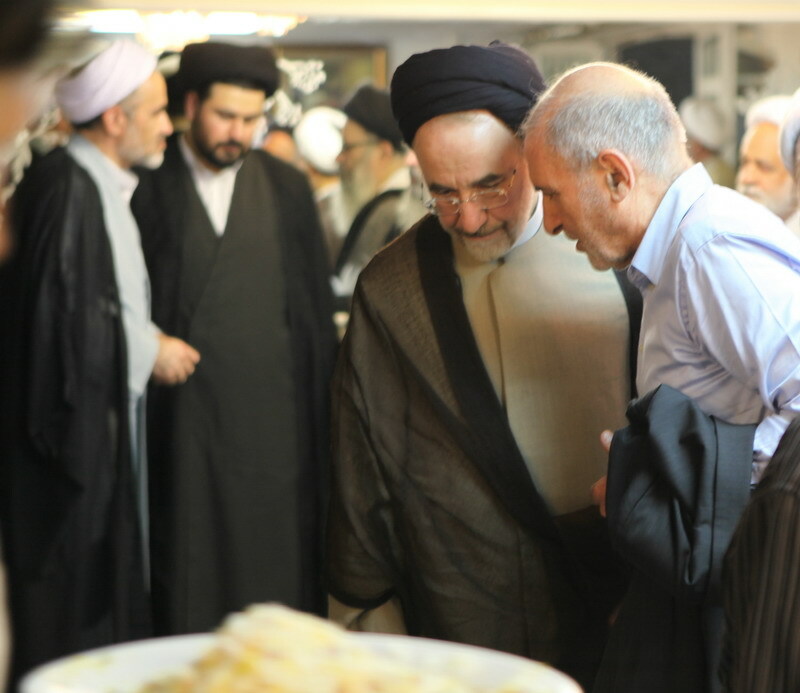 Mehdi Karroubi who had traveled to the city of Qom visited Grand Ayatollah Saanei, pro-reform senior reformist figure, at 2:00PM local time yesterday June 13. According to report by SahemNews short time after Mehdi Karroubi arrived at the house of Grand Ayatollah Saanei a group of organized thugs gathered in front of the house of the Grand Ayatollah and started chanting slogans against Mehdi Karroubi and Grand Ayatollah Saanei. According to these reports these plain clothes thugs attacked the car of Mehdi Karroubi with chains and batons and severely damaged it. 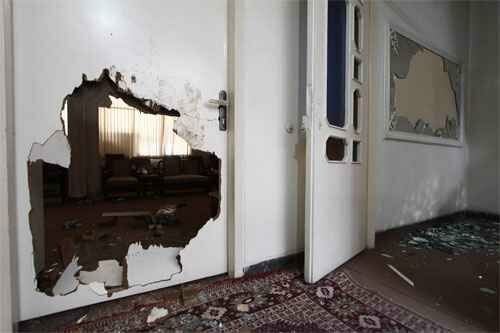 Also these individuals by throwing stone at the house of Grand Ayatollah Saanei vandalized the building. In continuation the thugs chanted slogans against Seyyed Hassan Khomeini, grandson of late Ayatollah Khomeini the founder of Islamic Republic, Grand Ayatollah Saanei, Mehdi Karroubi and Mir Hossein Mousavi and in support for the supreme leader. According to this report Mehdi Karroubi at 6:30PM local time after leaving the house of Grand Ayatollah Saanei first went to the house of Ahmad Montazeri, the eldest son of late Grand Ayatollah Montazeri who was the spiritual leader of the Green Movement, then visited Saeed Montazeri, another son of late Grand Ayatollah Montazeri, and finally went to the house of late Grand Ayatollah Montazeri. 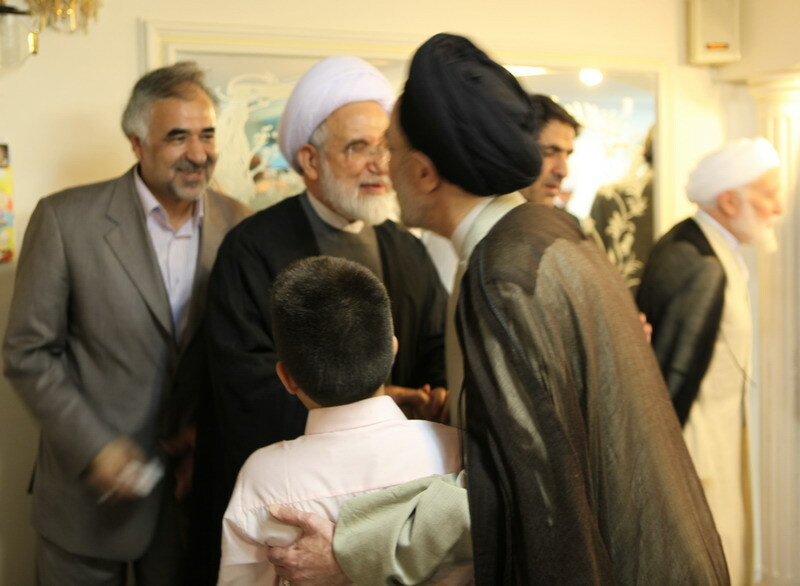 Unfortunately when Mehdi Karroubi was visiting the family of late Grand Ayatollah Montazeri these thugs by attacking and throwing stones at the house of late Grand Ayatollah broke the windows and severely vandalized the building. Mehdi Karroubi because of this mob attack on the house of late Grand Ayatollah Montazeri and the request by the Revolutionary Guards, police and security forces of the city of Qom at 11:30PM moved to the building owned by Revolutionary Guards and next to the house of the later Grand Ayatollah and finally with arrangements of the security forces of the city of Qom at 4:00 AM on Monday June 14 left the Revolutionary Guards’ building and returned to Tehran. 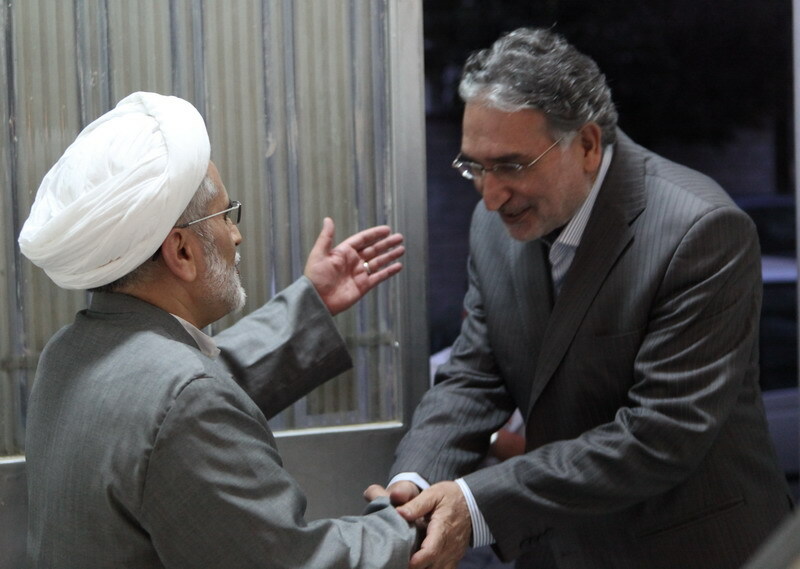 Mehdi Karroubi travelled to the city of Qom yesterday to visit with Grand Ayatollah Saanei and Seyyed Hassan Khomeini. 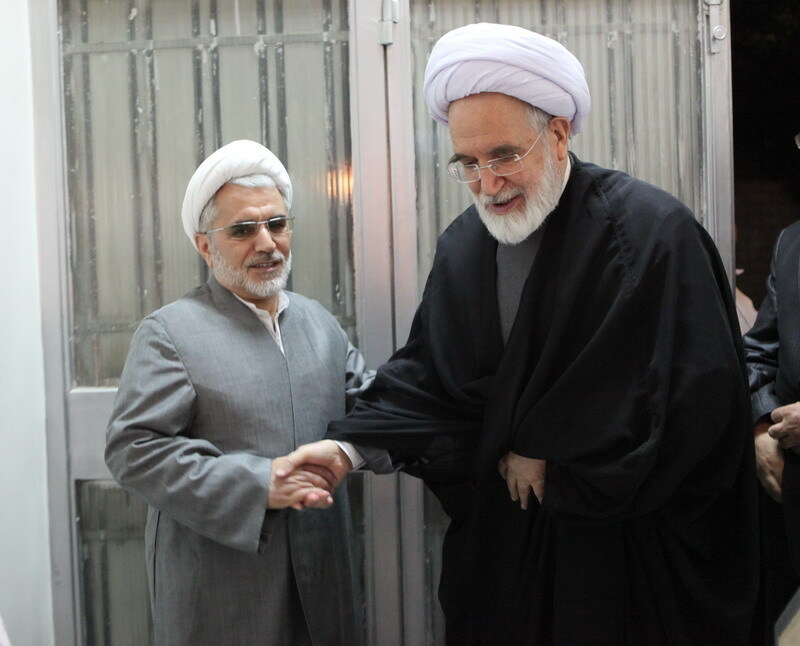 According to reports, Mehdi Karroubi had traveled to the city of Qom to attend a funeral ceremony and to visit Grand Ayatollah Saanei (pro-reform senior cleric) and Seyyed Hassan Khomeini (grandson of late Ayatollah Khomeini and the founder of the Islamic Republic). 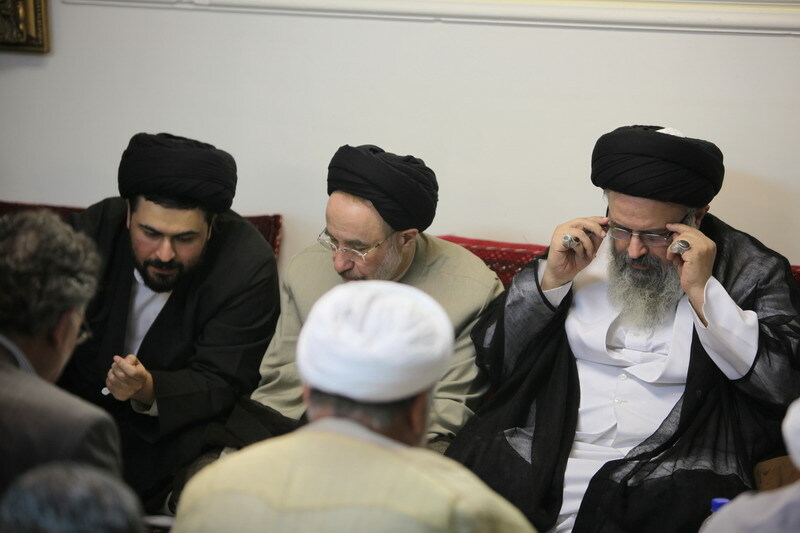 While Mehdi Karroubi was visiting Grand Ayatollah Saanei at his home, a group of organized pro-government plain clothed thugs surrounded the house of Grand Ayatollah Saanei and chanted slogans against the Green leaders, Grand Ayattolah Saanei and Seyyed Hassan Khomeini. 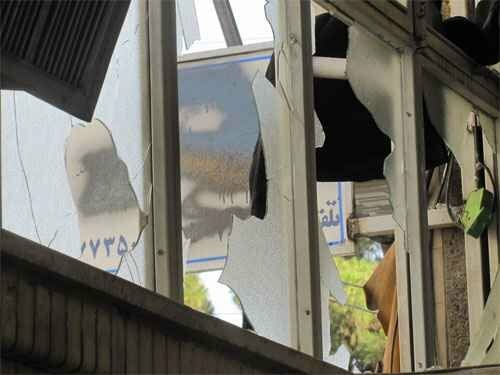 These organized group of plain clothed militia who were armed with batons and chains also broke the windows of the offices and house of Grand Ayatollah Saanei. According to reports, the security forces and police who were present during these events did not show any reaction to these attacks and did not try to stop the plain clothed thugs. RadioZamaneh – Mohammad Nourizad, detained Iranian journalist and filmmaker wrote another letter from behind the bars criticizing the statements of the Supreme Leader Ayatollah Khamenei last Friday at the tomb of the late founder of Islamic Republic, Ayatollah Khomeini. Nourizad writes that the leader has distanced himself from the “path and ideals of the Imam (Khomeini)” and rather than “negotiating with the people”, he has taken to supporting an “imbalanced” individual. Last Friday a ceremony marking the death of Ayatollah Khomeini was held at the tomb of the late Islamic Republic leader. The speech of Hassan Khomeini, left unfinished due to fierce interruption by pro-Ahamdinejad hecklers, was followed by the Supreme Leader’s sermon condemning opposition leaders, MirHosein Mousavi and Mehdi Karroubi, and implicitly threatening them with execution. Mohammad Nourizad was arrested in the post-election turmoil for writing critical letters to Ayatollah Khamenei and he has been sentenced to over three years in prison. Nourizad has written more letters from behind the bars decrying the failure of the Islamic Republic’s justice system and condemning the mistreatment of prisoners and protesters in the post-election events. Mehr News – MP Ali Motahhari said that he welcomes his removal from the principlist Majlis majority faction, saying his expulsion will prepare the ground for the establishment of an independent faction composed of moderate reformists and principlists. The distinguished principlist, who is a vocal critic of President Mahmoud Ahmadinejad’s policies, made the remarks in response to the faction’s decision to reconsider Motahhari’s qualifications for membership in the principlist faction. “If persons like me are expelled from the principlist faction, nothing but flattery and sycophancy will remain in the faction, and I will welcome any decision they make,” Motahhari said on the sidelines of the Majlis session on Tuesday. “The expulsion is an auspicious event to steer the principlism back into the right path,” he said. 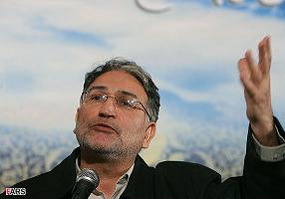 Motahhari has been bitterly attacked by some fellow principlists due to his remarks on the disrespect to Hassan Khomeini, accusing Mahmoud Ahmadinejad of the involvement in a preplanned scheme to force Imam Khomeini’s grandson to abandon his speech. During his speech in Imam Khomeini’s mausoleum at the ceremony on June 4 to mark the 21st death anniversary of Imam, a number of hecklers interrupted Hassan Khomeini’s speech by shouting slogans. The move has outraged many revolutionary figures and provoked a storm of criticism by reformists and moderate principlists. Ayatollah Dastgheib’s (senior religious figure) statement in condemnation of the insults on Ayatollah Khomeini’s family and allies. Keeping the memory and path of Imam [Khomeini] alive, is certainly keeping the way of Prophet Mohammad (peace be upon him) alive. What happened during the twenty first anniversary of Imam’s passing showed the deviation from Imam’s path more clearly because you invited people, especially international and world’s religious figures, and in their presence insulted the person most beloved and most adored by Imam and this is the proof of eliminating Imam’s legacy. 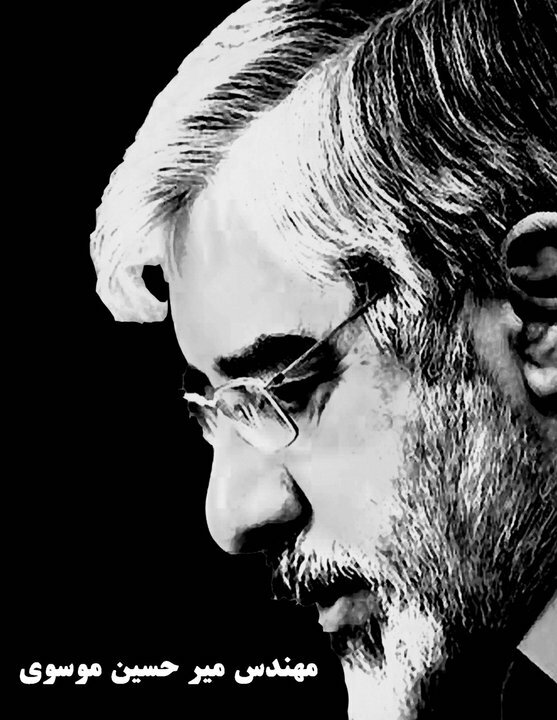 Until the end of Imam’s prosperous life, Mr. Mousavi was approved by him and by the great people of Iran and currently he is still beloved by the nation and even by other nations and outside Iran’s borders; and he showed the face of real Islam and Imam Ali’s justice to the world. Now next to the shrine of Imam, this inhumane and anti-religious event has happened and we should say: This is a disaster. What happened is irrecoverable and cannot be justified. 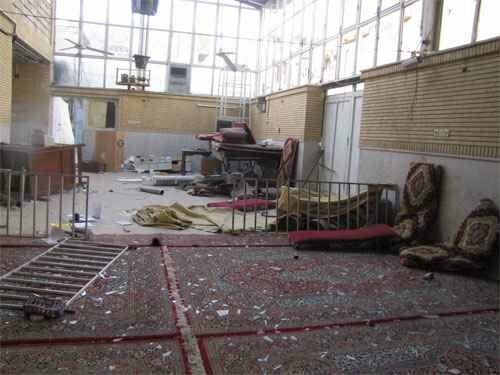 It would have been great if Hojat-al-Islam Seyyed Hassan Khomeini (the grandson of Imam Khomeini) could have defended the oppressed in that congregation and could have warned that insulting a believer and a Shia of the twelve Imams at such a congregation and at the Friday’s prayer is a great sin. A Hadith (narration) from the Prophet states: Whoever insults a devotee of mine, has declared war against me. If you say that this honourable man (Mir Hossein Mousavi) is not one of the examples of this Hadith, assuming we accept this, it must be said that an allegation is only valid when proved clearly and without threats and intimidations in front of a fair judge and by following all the laws of the religion, the logic and the society, otherwise it is subject to this Hadith that: Whoever accuses his believer brother and makes false allegations, belief will vanish from his heart, like salt does in water. In my several statements, I expressed the way for resolving the current situation, and I state it again now that the only solution is to invite Mr. Mousavi. If you are just and you are truthful, you should not be afraid. What are you afraid of as truth can not be changed? 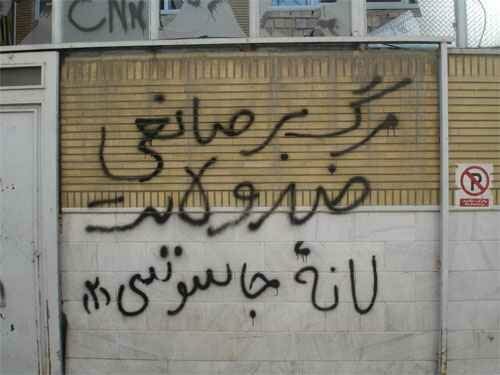 Let him come to IRIB (the state-run televisions and radios) and state his case, and then you judge his case. People will be satisfied and logic will also approve this. Of course [this should be done] without threatening and intimidating which are of the great sins. 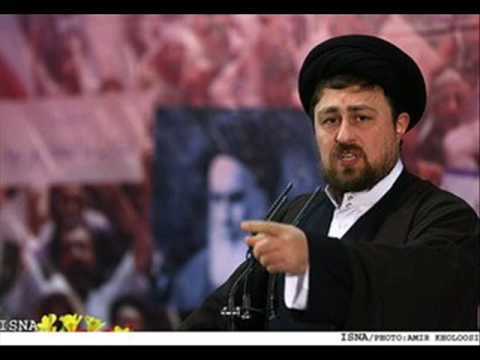 The Assembly of followers of Imam Path (Reformist Organization which is chaired by Hadi Khamenei, who is pro-reform despite being the brother of the supreme leader) issued a statement strongly condemning the insults made on Seyyed Hassan Khomeini, the grandson of late Ayatollah Khomeini, who had to end his speech and leave the podium on June 4th in the ceremony held to commemorate the anniversary of the passing of Ayatollah Khomeini in his tomb because of the insults and disruption of a group of organized pro-government thugs. In this statement, the Assembly raised the question, “who are these plain clothed thugs that have been interrupting ceremonies and attacking numerous figures recently, but never were identified or arrested? !” The Assembly also urged the authorities to investigate this hideous incident and identify and bring to justice those responsible for it, especially the master minds behind such plans. 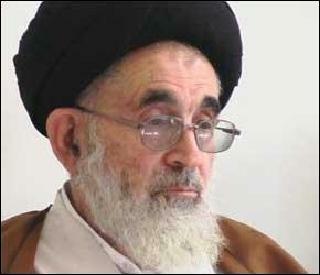 Grand Ayatollah Sanei (a senior religious figure and a supporter of the Green Movement), in a phone conversation with Seyyed Hassan Khomeini expressed his full support and condemned the insults made on him by a group of organized pro-government thugs during his speech at the ceremony commemorating the 21st anniversary of the passing of Ayatollah Khomeini. 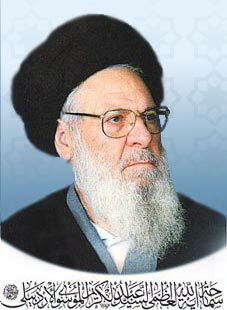 Grand Ayatollah Ardebili also phoned Hassan Khomeini. He strongly condemned the insults made on Seyyed Hassan and expressed his deep regret over this hideous event.